Every wonder why your asthma and allergies get worse around the holidays? 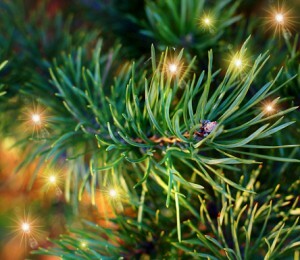 It could be your Christmas tree, which can be filled with mold spores and allergens. According to Dr. Alison Stallings, a dermatologist at Advanced Dermatology of Westchester, it’s more common than you think. “Patients come in with a rash that started on their arms, and it turns out they’ve been wrestling with putting up the tree,” she explains. Rashes can be the result of a mold allergy or sensitivity, she says, noting that other symptoms can include headaches, fatigue, throat and eye irritations, wheezing, and many respiratory problems including asthma. Symptoms increase when the tree begins to decay and mold spores are released into the air. Indoor mold counts can rise rapidly within two weeks of bringing a live tree into a home. Research done at the State University of New York Upstate Medical University found that 70% of the molds found in live Christmas trees can set off reactions like severe asthma attacks, fatigue, and sinus congestion. For people with a mold sensitivity or allergy, limit the time you keep a live Christmas tree in your home to no more than seven days. 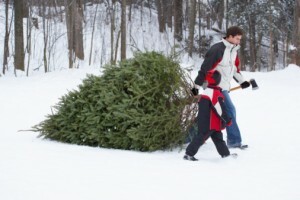 If tossing the tree so quickly isn’t for you, you can seek relief by taking over the counter allergy medicine. Protect yourself. 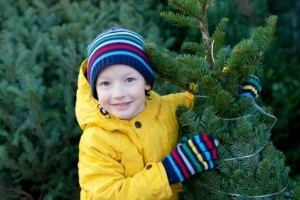 Wear gloves and long sleeves to bring the tree into your home, and again when you decorate. This will protect your arms from touching the sap, needles, and mold spores. Wash allergens away. Spray the tree down with water before you bring it inside to remove some of the mold and pollen. Dry it out. Allow the tree to stand in a bucket of water and let it dry outside for a few days, which can help prevent mold from growing. Purify your air. 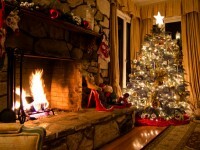 Put a household air purifier in the same room as the tree to help remove allergens that are airborne. Toss the tree. Get rid of the tree ASAP. Mold spores may accumulate the longer your tree is in the house. Once the tree is discarded, make sure you vacuum and dust the room thoroughly. If you want to be certain that you’ve removed all possible mold spores and that they did not contaminate other areas of your home, call an environmental inspection company to test your home for mold and other environmental hazards. This way, you can start the New Year with a clean bill of health for your home.